From the 2016 Nonprofit Technology Conference in San Jose, California. For the 2018 Nonprofit Technology Conference, we are headed back to New Orleans for the first time in 10 years! I’m excited to see all of you there and to ensure you are just as excited about it, I’m sharing some of the conference highlights that are new or unique this year. Pre-Conference Days are back! That’s right, the day before the conference will host three all-day events that you can register for when you register for the NTC (if you are already registered for the NTC and want to add a pre-con event, just let us know). This year, you can choose from three different events, all with a product focus, which makes them different than the rest of the educational sessions at the NTC: CiviCRM Day, Drupal Day, and WordPress Day. When it comes to the NTC educational content, we have a few awesome announcements for 18NTC. 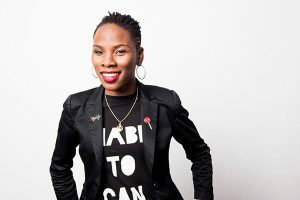 First, we have already announced the keynote, Luvvie Ajayi, and I know that it is going to be a great way to start the conference. Second, this will be the largest agenda we’ve ever had with over 130 educational sessions! We believe that having too many sessions to choose from is a good problem to have. Some aspects of the Conference, like our collaborative session notes, session-specific hashtags, and the mobile app, help make it easier to find a session that works for you and to track down great content from the sessions you don’t attend. This year, for the first time, we will also have Featured Sessions. 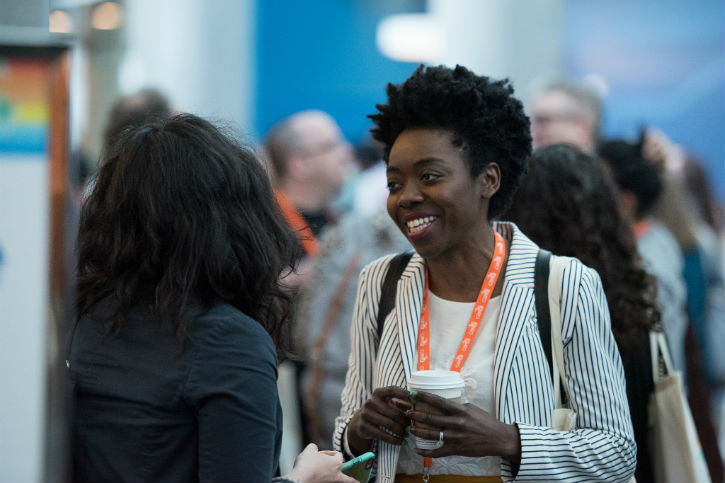 There will be one Featured Session during each session block and they will be topics that span organizational departments and missions—ultimately, the big topics that we at NTEN want to be sure are on your radar. Outside of the sessions, we have a lot planned to make this the best NTC yet! To do that, we are focusing, as we always do, on supporting the community to do what it does best: connect, share, and have fun together. We will be facilitating a Career Center in the exhibit hall for the first time—sign up now to be a mentor or mentee. From the 2017 NTC photo booth. Oh, and that exhibit hall? The one filled with over 100 incredible service and product providers? It’ll serve as our central hub for accessing general sessions, food, COFFEE, and networking. Events that returning attendees will remember like Birds of a Feather lunch tables and conversational lounges in the exhibit hall will be back this year, too. To continue the community engagement that makes the NTC so special, we are bringing back the Official Party! Folks who have been to the conference in the last eight or so years will remember that usually we have sponsored parties that take place at different locations. Well, what is old is new again: Just as we had when we were in New Orleans before (and in the years before that), NTEN is hosting the only official party of the NTC. And thanks to sponsors including Care2, it is going to be awesome! You can register for the party when you register for the NTC or you can let us know if you’d like it added to your ticket. 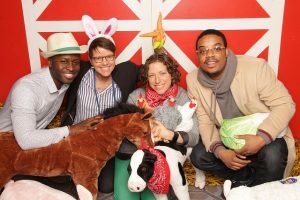 And instead of three days of morning general sessions, the last day of the conference will include a Jazz Brunch so you can reconnect with all the new friends you made at the party and plan out your last day of sessions together. Returning attendees may notice some other changes this year. We have done a lot of reflection, reviewed many years of evaluations, and taken lots of valuable ideas from our NTC community committee. We’ve made some changes that may be small but we hope have a big impact on continuing to make the NTC the very best conference you go to and the very best opportunity for you to meet friends new and old, learn new skills, gather new ideas, and ultimately do your work better. What little changes have we made? For example: the morning general sessions are now only 60 minutes instead of 90 and focused on featuring diverse ideas and perspectives; we’re planning new, limited edition buttons and we are recruiting more volunteers to help both speakers and attendees have a great experience. I can’t wait to see you in New Orleans next April—if you aren’t yet registered, be sure you sign up today to get the early bird rates!